The Gymnastics Gym Profits Report lists over 300 different profit-making programs and profit centers for gymnastics businesses. This special downloadable report lists over 300 possible profit-making programs for the owners of gymnastics facilities. You are purchasing a 25 page report in Microsoft Word document format and a Microsoft Excel spreadsheet list of all the profit-making programs. Gym owners will find numerous gym profit making program ideas. 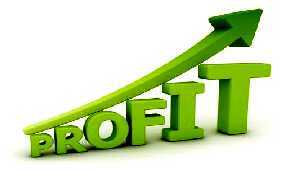 We have collected and used these successful profit making program ideas over a period of 25 years. Find out what ten programs we have used year after year to completely fund our gymnastics team and program. We have used these successful profit making program ideas over a period of 25 years raising hundreds of thousands of dollars and fully funding and supporting our gymnastics team and program each year. We guarantee that you will find at least one profit-making program to implement that can and will return your investment in this product. With this many profit-making ideas, you can implement a new profitable every day for almost a year. OK, so you won’t likely be able to put the ideas into action that quickly, but you will have all the program ideas you will ever need to make lots of money from your gym. Download this report, use one of the ideas and start making more money right away. No matter how many programs you are currently running, you will find new ideas for programs that will make you money. Even if you are already running a gym with 60 programs, there will still be 240 more new program ideas for you to choose from. Small gym owners or gym owners in rural areas have a limited number of potential clients. This report gives you many other options to generate income. Some of the ideas in this report are ideally suited for large gyms. This report applies equally well to dance schools, cheer gyms, martial arts schools – any amateur youth sports program. The owners of these programs will want to buy this list also. Our Gym Profit Report is currently available ONLY FOR USE WITH MICROSOFT EXCEL (any version Word/Excel 97 through 2006+). YOU MUST HAVE THE MICROSOFT EXCEL TO BE ABLE TO READ THIS REPORT. We have spent over twenty years collecting and building this list. We are certain that there is not a more complete list available anywhere. This report would be a good investment at a cost of $100.00 or even twice that much. Why? Because you would still earn your investment back within a week of implementing any one of these profit making programs. This report can be downloaded after you pay. You won”t have to wait to receive it in the mail. You can start making more money right away. On Sale for only $37!